The Research Group Emergent Systems, Information and Society contributed to the Foundations of Systems Science through elaborating on systems theoretical approaches towards techno-social systems, in particular, computerised systems. Academics and practitioners in the field of computer science in the perspective of its social context – that is, a field considering social responsibility of computer engineers, comprising social informatics (as it is called in Anglo-Saxon countries), “Informatik und Gesellschaft” (as it is called in German speaking countries), information studies, ICTs and society, and else. The core issue of the research group was to contribute to the assessment of technologies that raise or might raise public concern. The problem analysis looked upon technological systems as part of social systems. The perspective of techno-social systems was underpinned by insights in systems evolution. Information technology was investigated with regard to its contributions for a global sustainable information society as a possible and needful step in the evolution of societies on Earth. Please find here past projects of the research group! The research group was a joint initiative supported by the Leibniz-Sozietät der Wissenschaften zu Berlin, the International Society for Information Studies, and the BCSSS. It was founded to honour and continue the lifetime achievement of Prof. Klaus Fuchs-Kittowski. In the framework of co-operation of the Bertalanffy Center with the Centre of Social Ontology, one research project was finalised (Social Morphogenesis – the proofs of the 5th volume are currently verified) and a new one was commenced. During the first week of January, the same group of co-workers at the CSO, International Advisory Committee members and collaborators led by Margaret Archer met in London at the ISRF (Independent Social Research Foundation). A workshop was held under the header “Humanism under attack”. Its aim was to explore and critically discuss human enhancement in the perspective of trans- and post-humanism. The publication of a first edited volume was agreed. On 6 January 2017, Wolfgang Hofkirchner presented his contribution. The title was “Promethean Shame revisited – An ontological analysis of future imaginaries”. The term “Promethean Shame” was coined by Austrian philosopher Günther Anders to signify the “climax of dehumanisation” by the “hubristic self-humiliation” when humans construct machines that seem to outperform them and thus make them obsolete (my translations – W.H.). The first english translation of Anders’s essay on Promethean Shame is currently in print in the United States. The Centre for Social Ontology (CSO) carried out five workshops of experts from different fields in a yearly interval, starting in January 2012 and ending in January 2016. The goal was to advance the Social Morphogenesis approach Margaret Archer had come up with. Each workshop lead to the publication of one volume of contributions of the researchers. The series was contracted with Springer. It is titled “Social Morphogenesis”. Five books have been published. Wolfgang Hofkirchner participated as collaborator. The first volume is available. 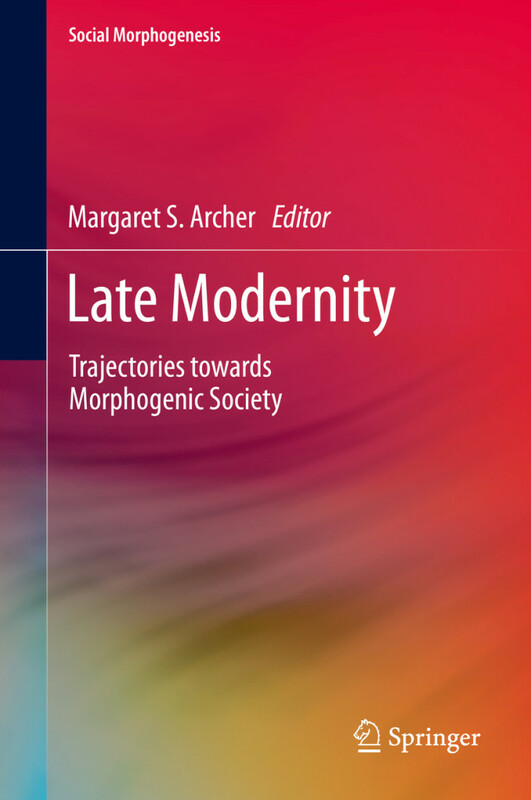 Archer, Margaret S., ed. 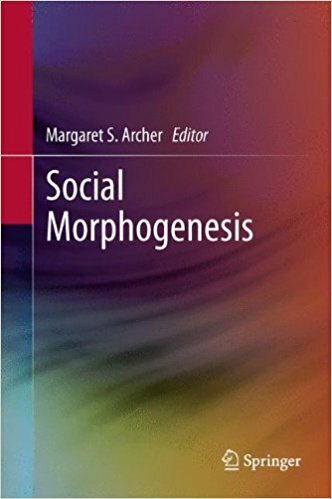 (2013): Social Morphogenesis. Springer, Dordrecht. Click here to get to the publisher’s site and look inside the book. The second volume is available. Archer, Margaret S. (ed.) (2014): Late Modernity. Trajecories of Social Change. Springer, Dordrecht. Click here to get to the publisher’s site and look inside the book. The third volume is available. Archer, Margaret S. (ed.) 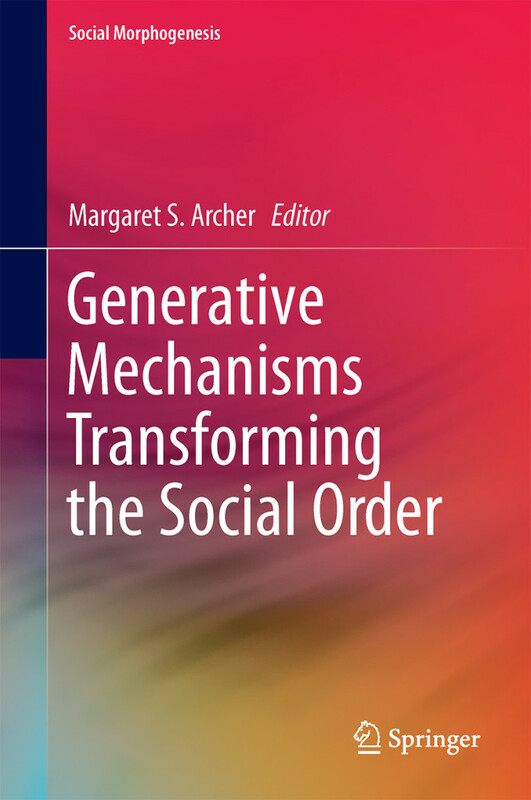 (2015): Generative Mechanisms Transforming the Social Order. Springer, Dordrecht. Click here to get to the publisher’s site and look inside the book. A review of volume 3 is here. “This chapter deals with ‘mechanisms’ from the perspective of critical systems thinking. ‘Mechanisms’ are rooted in self-organisation. Far from being mechanical, they are contingent dynamisms. They are the cause of the advent of Information Society; they are the cause for the reproduction of Information Society; and they are the cause for a transformation of Information Society. The fourth volume is available. Archer, Margaret. S. (ed. ), (2016): Morphogenesis and the Crisis of Normativity. Springer, Dordrecht. Click here to get to the publisher’s site and look inside the book. “Chapter 12 has three sections. The first section puts ethics in a system-theoretical perspective. It deals with the basic question ethics seeks to answer: how are Is and Ought related to each other? Answers matter insofar as they provide different frames for analysing what goes wrong with morals in unbound morphogenesis. The fifth volume is available. Archer, Margaret. S. (ed. 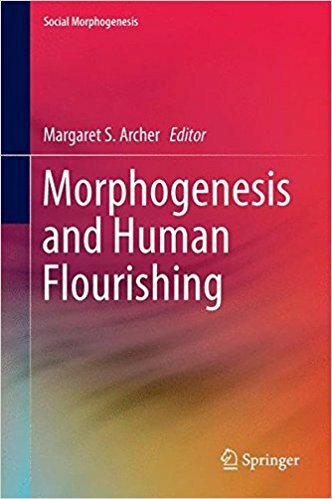 ), (2017): Morphogenesis and Human Flourishing. Springer, Dordrecht. Click here to get to the publisher’s site and look inside the book. The subtitle of the project is: How can early theoretical approaches contribute to current versions of Systems Biology? In this project we aim to integrate the early system approaches of Paul A. Weiss and Ludwig von Bertalanffy with recent systems biology. Paul Weiss worked at the Vivarium in the Vienna Prater, later called “Biologische Versuchsanstalt” (Vienna Institution for Experimental Biology). In 1945 it was destroyed. This research project is funded by the Austrian Science Fund (FWF): P 22955-G17. Project leader is Manfred Drack. The kick-off meeting of the project. Manfred Drack on the left. The project ended in February 2015. Rainer E. Zimmermann presented in 2013 a research idea on emergence. It comprises three parts. The BCSSS will participate in the first part. Wolfgang Hofkirchner is the contact person on behalf of the BCSSS. 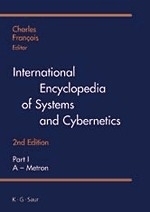 Charles François, author of the two volumes edition of the International Encyclopedia of Systems and Cybernetics – the second edition of which was published by K. G. Saur in Munich in 2004 – handed over the continuation of the encyclopedia to the next generation. The BCSSS took that task over in close collaboration with the International Federation for Systems Research (IFSR). View the concept written in 2008 by Stefan Blachfellner (co-authored by Wolfgang Hofkirchner). A master thesis at the Faculty of Informatics of the Vienna University of Technology in 2013 explored current open-source research platforms allowing collaboration for tasks relating to the build-up of an encyclopedia. The thesis is written in German. The abstract is in English. Load the full thesis down here. 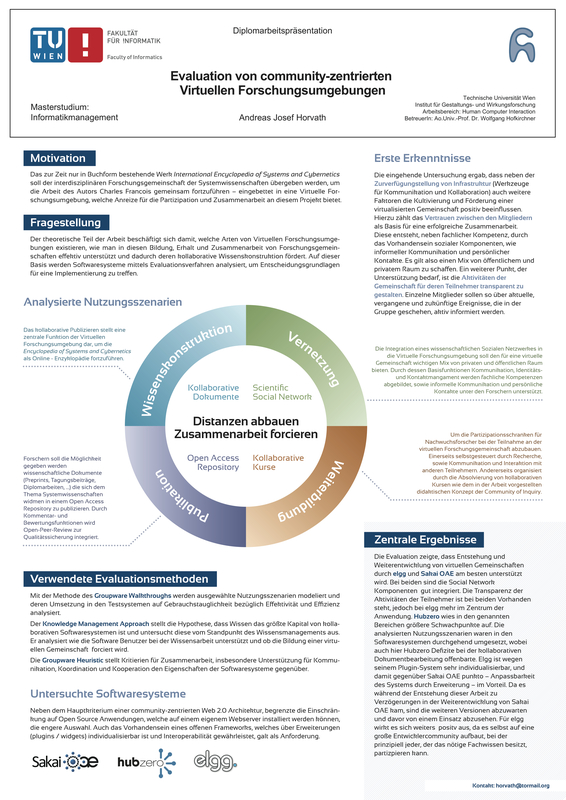 Poster of the Master Thesis. Click on the picture to download pdf. The International Academy for Systems and Cybernetic Sciences (IASCYS) commissioned BCSSS Scientific Council member Rainer Zimmermann, member of IASCYS, to establish an editorial committee on behalf of the Academy. Negotiations with De Gruyter (the follow-up publisher of K. G. Saur) had been started long ago by BCSSS Board member Gerhard Chroust, Secretary General of the IFSR. An agreement is near. The Bertalanffy Center is ready to sign, as soon as the support of the online edition has been clarified. As pre-studies have shown a lot disciplines have adopted system theory for their needs, but some of the changed theories are already far away from the original intention. On the one side the development in the different disciplines is positive, on the other side this leads to contradicting positions followed by misunderstandings and building up new boarders that are weakening the prime intention of system theory. System theory always was meant to be an integrative tool for all sciences and to have a dialog between scientific disciplines. The focus of the research project lies on the reception of system theory after Bertalanffys dead. Based on the theory arising from biology the developments in different disciplines will be investigated. The key question is, if Bertalanffys and Weiss’ system theory still plays a role in science today and especially if there are contributions that broaden or reduce the concept. As system theory generally influences the development of various disciplines and the concepts of how we deal with society and environment, the knowledge of how system theory is understood today is of paramount importance. System theory today is a research project supported by the Austrian Science Foundation (FWF) Grant P18149-G04 to Rupert Riedl (1925–2005), who unfortunately passed away shortly after the research project was initiated. Riedl was one of Bertalanffy’s students in 1940s post-war Vienna and later on actively emphasized the importance of “Systemtheorie” (system theory) and “Längsschnitttheorien” (longitudinal-section theories)―not only in biology, but also in other sciences and in humanities as well. His emphasis on the importance of establishing a theoretical biology was also influenced by Bertalanffy. Later on, Weiss also exerted an influence on Riedl. The project ended in July 2007.